Flat 16,201 off.Flat 16,201 off. 10% Instant Discount with HDFC cards.10% Instant Discount with HDFC cards. The iPhone XR is an expensive smartphone but it does have attractive looks and appealing colour variants. Everyone who saw me using it complimented me about its look. I play PUBG on this device and It runs very smoothly. The cameras are one of the best. I usually click lots of selfies and each one comes out perfect. 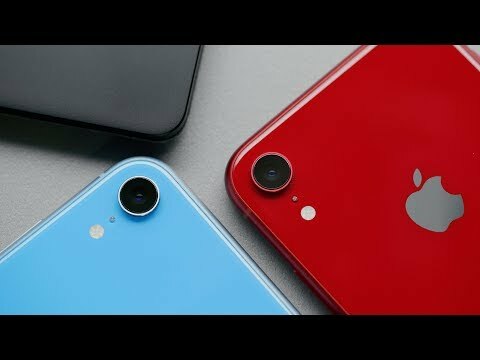 Apple iPhone XR, even though is expensive, comes with a lot of great stuff. I bought this device because of its attractive look and of course Apple brand name. The selfie camera works flawlessly. I clicked some of the great shots even in the lowlight conditions. It has wireless charging as well as water resistance support which is an added bonus. Apple iPhone XR is one of the best iPhones I have ever seen and used. The colorful design looks gorgeous and forces you to get your hands on it. Apple finally improved the battery life so kudos to that. The device now lasts for an entire day on a single charge and that is impressive. In terms of cameras and software, we know where Apple stands so there is no reason to talk about it. Another amazing product from Apple the best smartphone brand. Loved the fluid and lag-free experience. Cameras are just awesome, clicked tons of selfies and all of them comes out to be amazing. Overall a great smartphone which you can get. By the way, it looks very attractive in the hand. 21 Pricebaba users have written their experience with Apple iPhone XR. If you own Apple iPhone XR, please do leave your feedback too. Lowest price of Apple iPhone XR price in India starts at Rs. 59,900 Apple iPhone XR is available on Flipkart at Rs. 60,699 and on Amazon at Rs. 59,900. Prices updated on 25th April 2019. A sleek design and a 6.10-inch Liquid Retina HD True Tone display powers the phone with one of the largest screens in an iPhone second only to the iPhone XS Max. It is also available in multiple colors - Blue, Yellow, Red, Black, White, and Coral. Apple goes a bit soft with the camera here with a single 12 MP rear camera and a 7 MP front-facing camera with Face ID. All the new iPhones come equipped with the Apple A12 Bionic Processor. The industry-first A12 chip is set to give Apple a huge advantage over the competitors. Additionally, three storage variants of 64GB, 128GB, and 256GB are available. The iPhone XR makes up for an LCD screen with a long battery life. Apple promises 15 hours of internet usage or 16 hours of video playback on a single charge. The iPhone XR sports the latest iOS 12 software which comes loaded with new features like grouped notifications, Screen Time and Memoji.